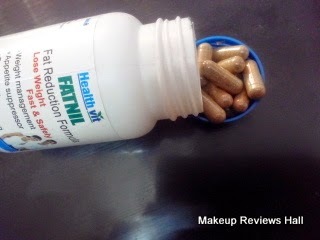 Health vit FATNIL Fat Burner Weight loss Tablets & Pills Review. 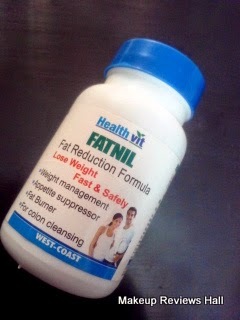 HEALTHVIT FATNIL Fat Reduction Formula - Lose Weight Fast & Safely. This name, brand line is quite popular all over the internet these days. I have seen this weight loss tablet available online at almost every shopping site. I am a kind of person, who normally looks for natural methods to loose weight avoiding any kind of weight loss pills and tablets whether herbal, ayurvedic or any other form. But this time while shopping online I got to see this Fatnil Fat Burner tablet over and over again. By God's grace I was even putting on little weight so just out of excitement to reduce weight quickly without diet and exercise, I ordered this weight reduction pills. You can call this as impulsive buying since seeing it again and again available at almost all sites, made me buy this. Check out my review below to find whether I like this fat reduction weight loss tablets. 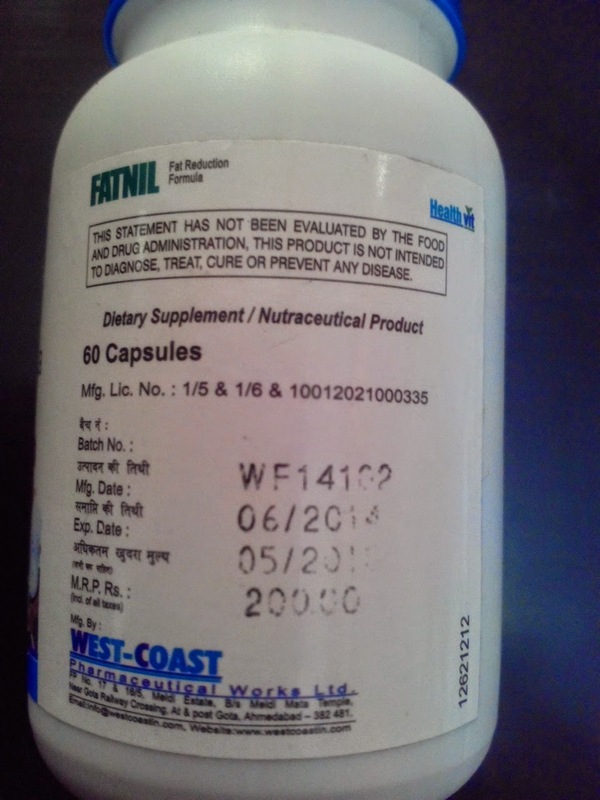 What Healthvit Fatnil Fat Reduction Formula Claims? FATNIL Contains all-natural ingredients which Helps to control cholesterol. It functions without disrupting normal body process. Provides an excellent source of dietary fiber. Decrease body's absorption of fat. Lose weight fat & Safely.Weight Management. Ingredients: Chitosan, Garcinia Combogia, Chromium Picolinate, Vitamin E, Selenium, Zinc. PRICE - Rs 200/- per bottle. (60 capsules). This Health vit weight loss pills come in a simple round plastic box like usual tablet container. There are 60 capsules in one box and the suggested use is 1-2 capsules twice daily, so a single box will easily last for a month. This fat reduction capsule is quite long like other capsules and I had little tough time taking this for the first time initially. It was so long that it got stuck in my throat and I had to drink loads of water to gulp it down. I always have problem taking pills so it was even more difficult. Even now after so many days, I drink lot of water to gulp it. The capsule has a very strong herbal smell. One can easily feel the smell, just by being near a bit. I feel its a blend of all different herbal ayurvedic powder, which we normally use as home remedies. I could relate to the smell, since it was very similar to those given with ayurvedic and herbal home remedies. Also Read : Drink Water to loose Weight Naturally. Organic Green Tea for Weight Loss. Now coming to the result, how good was this Fatnil tablet in weight reduction and burn fat? I am taking these capsules since about 2 weeks. Initially I started with single cap daily after meal to be on the safer side and then increased it to two. Till now I have not lost any weight. It has definitely not helped me in loosing weight but what I can feel from my observation is that it has made my digestive system powerful to some extent. I do suffer with constipation at times, but since I am taking these tablets, my digestion is improved and I feel very light, not bloated and fatigue which is quite normal with me specially in winters when there is minimum workout with maximum food intake. Also I did not do any dieting, starving or even exercise. Rather I ate nicely like normal but still felt light, so this could be because of these herbal tablets. Overall I feel Healthvit Fatnil Fat Reduction Formula is average weight loss tablets, which do not make you loose wight or burn fat but truly make you feel lighter and active. This was my personnel experience, when I did no dieting or exercising. One could loose weight with proper diet and exercise but I can't claim anything on that since it totally dependent from person to person. To sum up, I would say always try some natural and same methods to loose weight, instead of any pills but still if you are looking for a quick easy way to detoxification and colon cleansing, you can try these fat reduction tablets. Made me feel light without exercise and diet. I fet more active, free and light from inside. Improve my digestion to some extent. Appears to be herbal because of the smell. Did not harm me in any way till not. No weight loss till now. No fat reduction as claimed. Not a natural way to loose weight. No benefit at all..have been taking this for last 1 month.